By Kate Kelland. The Atlantic. Kate Kelland is a reporter for Reuters. Some scientists have engineered a form of the deadly H5N1 virus that is easily transmissible and could cause lethal human pandemics. The World Health Organization (WHO) issued a stern warning on Friday to scientists who have engineered a highly pathogenic form of the deadly H5N1 bird flu virus, saying their work carries significant risks and must be tightly controlled. The United Nations health body said it was "deeply concerned about the potential negative consequences" of work by two leading flu research teams who this month said they had found ways to make H5N1 into a easily transmissible form capable of causing lethal human pandemics. Rather than repeat my many observations about all of this, just stick Kawaoka or biosafety into the little search window above provided by Google. A question posted to an email list I'm on got me to thinking about the groupthink that leads to vivisectors' perceptions of themselves. If you've had the opportunity to speak with very many vivisectors you have probably heard them say that they consider themselves animal welfarists, or even animal advocates, that they consider it a privilege to use animals, that they respect the animals they use, or that they wish they didn't have to hurt and kill them. I'm a veterinarian and scientist at the University of [anywhere] interested in exploring the issue of compassion fatigue and burnout in people working with animals. I'm brand new to this list. 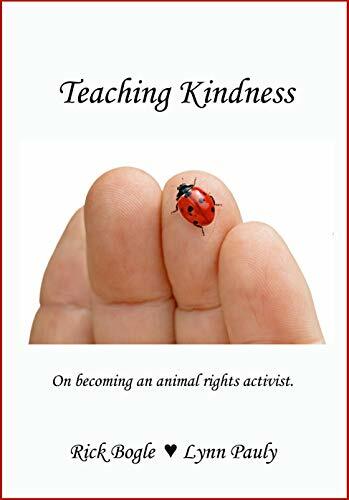 A critical aspect of animal welfare is taking care of the people who care for animals. Someone else on the list suggested that she ought to have used "dilemma fatigue" rather than "compassion fatigue." I'll wager that Dr. X genuinely believes that compassion fatigue is a more appropriate term; she probably believes that the people involved in the industry are genuinely compassionate people who have been forced by their love of humanity into hurting and killing animals. But I've yet to run across one of these vivisecting animal lovers at an anti-cruelty protest or even a public meeting about some non-vivisection related animal cruelty issue. When the possibility of a citizens' panel to investigate the ethics of the University of Wisconsin, Madison's use of monkeys was discussed at county committee meetings, the vivisectors turned out in droves to talk about how much they care about animals and how hard they work to keep them happy while they are experimenting on them. And how dare anyone assume that they don't care as much about animals as the people asking for the creation of the citizens' panel. But when something else happens, like a fur protest or a county hearing about the use of elephants in circuses, these vivisecting animal lovers are nowhere to be found. Makes one wonder. The answer is groupthink. The vivisectors tell one another how much they care, but in their bones, they don't. They're zombies reciting what they've been told. The federal government's recent decision to suspend funding for new experiments on chimpanzees, and to re-evaluate all current studies, has just knocked out a big chunk of the wall that is the species barrier. Chimpanzees used to be considered "others" - creatures who, despite their human-like qualities, were different enough for experimenters to use in violent and deadly crash tests, to infect with debilitating diseases, and, in a twisted attempt to make them more like us, teach them human sign language. Now the others are us. The National Institutes of Health based its decision to halt funding for chimpanzee experiments on the conclusions of an expert panel convened by the Institute of Medicine whose express purpose was to examine the scientific validity of using chimpanzees. The committee was comprised primarily of scientists, including some animal experimenters, and determined that "most current biomedical research use of chimpanzees is not necessary." But make no mistake: The report and subsequent take-down of the chimpanzee grant gravy train has its roots in compassion. The question of scientific validity was raised only after the massive outcry over NIH's decision to return more than 200 retired chimpanzees, many of them elderly, from quasi-retirement in a facility in Alamogordo, N.M., back into prison-like conditions in laboratories for use in infectious disease studies. NIH said they weren't really retired; they just hadn't been used for more than 10 years. The contract for their care was nearing its end. Why not just stick them back in isolation cages, infect them with painful, debilitating conditions, stab them with needles, watch their demise and, essentially, use them up until they die? Because it's wrong, was the response from the public, animal groups, many scientists and some legislators. Why must these wonderful, sensitive individuals, who have already been subjected to more physical pain and emotional deprivation than any being of any species should have to endure, be returned to the hell they had already miraculously survived? Why must the United States be the only nation on the entire globe, with the exception of tiny Gabon, still to use chimpanzees as though nothing about them mattered but their perceived usefulness as tools? Last New Year's Eve, in the face of this outcry, NIH announced that it was suspending the transfer of the chimpanzees (though tragically, at least 14 had already been sent to a laboratory) and had asked the Institute of Medicine to investigate the importance or lack thereof of chimpanzees to research. The committee stated that it would not deal with the ethics of the issue. But here's the elephant in the living room: The question was only asked because so many people, indeed so many nations, believe it is unethical to experiment on chimpanzees. While the committee found that nearly every use of chimpanzees in laboratories today is scientifically unjustifiable, the immorality of the practice was the subtext. 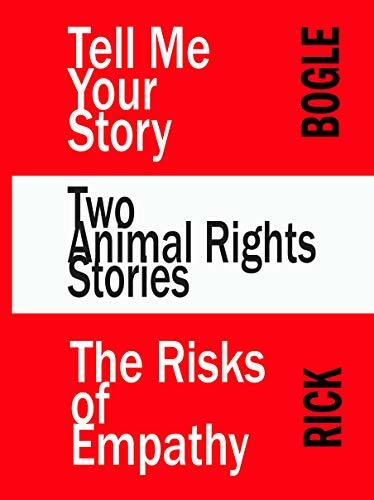 At the briefing during which the Institute of Medicine announced its findings, the committee chair bioethicist Jeffrey Kahn of Johns Hopkins University, even stated, "We understand and feel compelled by the moral cost of using chimpanzees in research." Chimpanzees are so like us that most people cannot ignore their desire to be free from subjugation. Like the Berlin Wall, the barriers that separate humans from all the other species, including those who don't look like us at all, will crumble. Perhaps one day, and I hope not too far from now, the cages and other implements of animal experimentation will, like the Wall that once separated one group of nations from another, be found only in the Smithsonian and other museums. By Elva K. Osterreich, Associate News Editor, Alamogordo Daily News. The Great Chimp Migration has come to an end. Almost 300 chimpanzees have moved from their cages in New Mexico at the former Coulston Research Facility on LaVelle Road in Alamogordo to Florida islands built especially for them. Vivisectors think you are an idiot and that they are God’s gift. You damn well better be grateful. During one of my methods classes, the chair of the School of Education told us that he believed a careful observer could infer a teacher’s philosophy of education – their beliefs about how people learn and how we ought to teach – by watching them teach. I don’t know that he was right to the degree he imagined, but I do think it possible to get some sense of someone’s opinions or beliefs about others by the things they do. More to the point, I think we can get a sense of what someone believes about the opinions of someone else by looking at the things they do. For instance, someone may dress a certain way, not so much because they like a certain style, but because they believe others will judge them one way or another based on how he or she looks. This is a driving force, I think, behind fashion trends, political affiliations, the way one keeps their yard, and on and on. We often act the way we do because of our beliefs about others’ potential or actual opinions. 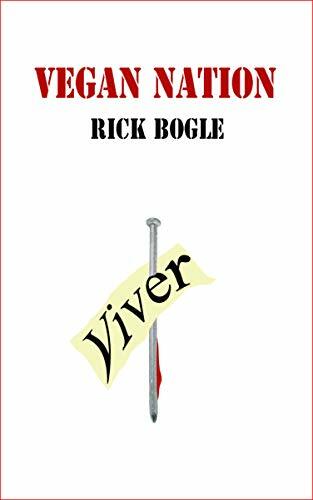 By looking at what they do, what might we surmise about vivisectors’ beliefs about other people’s opinions? I don’t think vivisectors have a particularly high opinion of “the public.” Their behavior suggests that the opposite is more likely. They seem to believe that the majority of people who might someday or who already do suffer from some malady want them to experiment on animals. I hope their judgment about people’s wishes isn’t right. If I were to get seriously sick, I wouldn’t want someone else hurt just because I was suffering. Wanting others hurt just because I’m sick would be darkly egocentric. The belief that a majority of people would want others hurt and killed to benefit themselves is a very unflattering vision of humanity. Moreover, if one really believed that this is how most people feel, then catering to that base and viscous personality characteristic might be evidence of an affinity with it. I think its fair to say that vivisectors probably think that humans are grotesquely selfish. At the same time, vivisectors are obsessively worried about the public’s reaction were the realities of the lab better known. We see this fear reflected in the industry’s uniform resistance to releasing the gory details of what they do to the animals. Photographs and video recordings only very rarely come to light. Active and aggressive steps are taken to shield the vivisectors' activities from public scrutiny. They must also believe that the public is made up mostly of complete dolts. How else could they hold these apparent diametric opinions? On the one hand, they believe that the public wants them to experiment on animals, but on the other hand, they believe that if the public finds out what that really means, they will rise up in opposition. I think it fair to say that vivisectors probably think that humans are grotesquely selfish idiots. Vivisectors must believe that they are above both the law and what "the public" thinks of as common and expected ethical behavior, things like basic honesty. In the case of the University of Wisconsin, Madison, a number of examples can be pointed to. The longest-running and best documented instance from there of vivisectors as a group lying to the public is the Vilas Monkey scandal. The nav bar to the right has links to some of my essays about this affair. The biggest repeated lies were made to the County in official correspondence. Given that many vivisectors knew that the university was lying to the County, we can fairly surmise, I think, that vivisectors hold local governments in contempt. They seem to view themselves as outside the norms of basic ethical behaviors, like honesty. I think it fair to say that vivisectors probably think that most humans are grotesquely selfish idiots below some imagined threshold requiring their ethical treatment. Vivisectors think they are above the law, probably because they think the law applies only to the public – a group they seem to hold in great contempt. An estimated 600 to 800 facilities have had trouble with the search for alternatives, 450 to 600 with review of painful procedures, and 350 to 400 with monitoring for compliance. 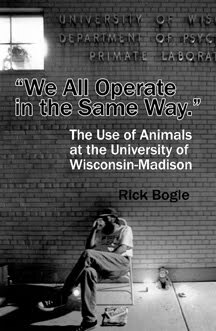 At UW-Madison, the vivisectors said matter-of-factly that the state’s laws against cruelty to animals dodn’t apply to them. And, when the district attorney said they did, they exerted the very power that fuels their belief that they needn’t follow the same rules as the public must, and simply had the laws changed to exempt themselves from such niceties. So, I think it reasonably fair to say that vivisectors probably think that most humans are grotesquely selfish idiots far below some imagined threshold requiring their ethical treatment, and that they themselves are above the nuisance of local, state, or national law. A word in their defense, it does seem that the public remains very gullible - no matter how many times they are told that they have been lied to and treated like chumps. To the person doing the repeated lying, this must result in some degree of contempt and feeling of superiority. In this regard, the vivisectors are responding predictably to the circumstances in which they find themselves. Poor babies.